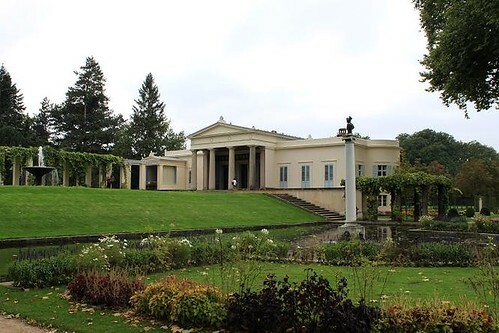 Originally the New Chambers was built in 1747 to serve as an Orangery. 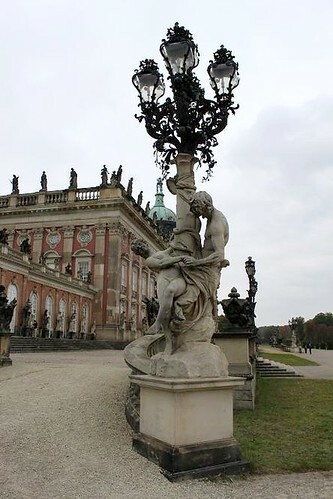 From 1771 to 1774 it was re-designed by Georg Unger as a guest accommodation for Frederick the Great. 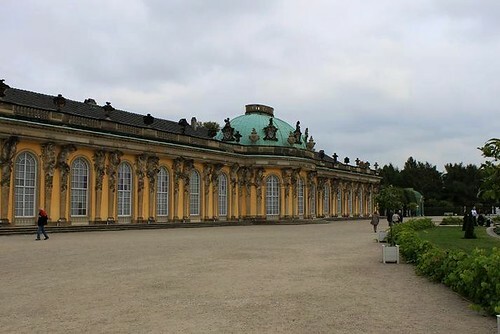 The building is located on the left side of Sanssouci Palace and is very similar to the Picture Gallery. 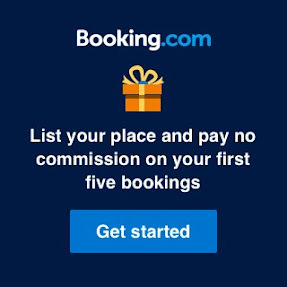 It contains guest apartments, the Jasper Hall and the Ovid Gallery. 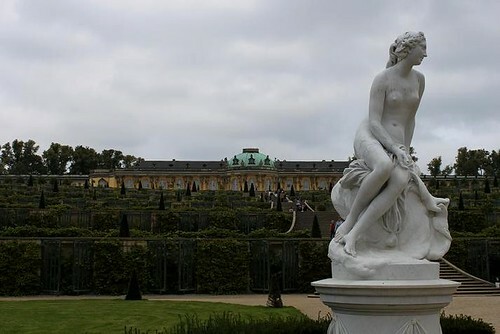 View location in Park Sanssouci, Potsdam, Germany. 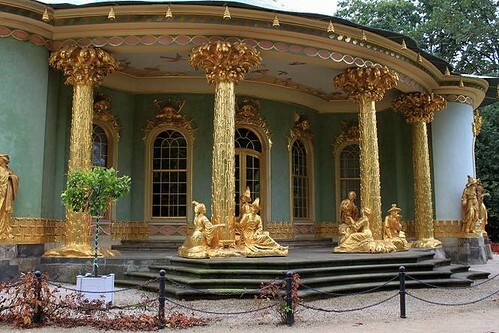 The Dragon House is located in the northern part of Park Sanssouci, on the Klausberg. 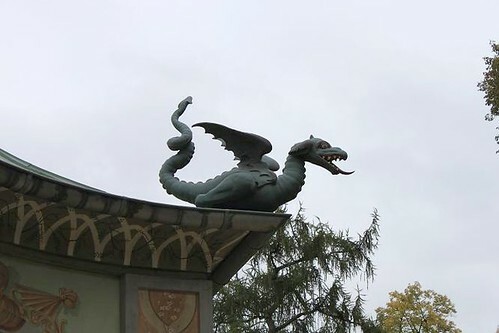 The house owes its name to the sixteen dragons placed on its roofs. It was built between 1770 and 1772 by Carl von Gontard when Frederick the Great had a great interest in Chinoiserie park structures. Since 1934 the Dragon House accomodates a restaurant and a cafe. 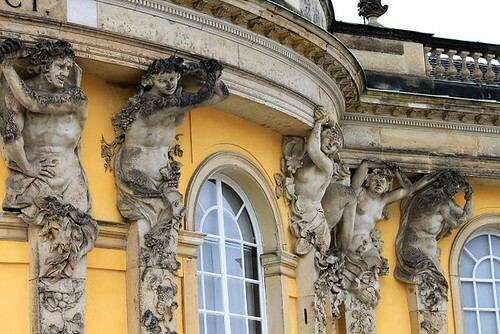 The New Palace is the largest 18th century structure in Park Sanssouci. It was built from 1763 to 1769 according to the plans of Johann Gottfried Büring, Heinrich Ludwig Manger, and Carl von Gontard. 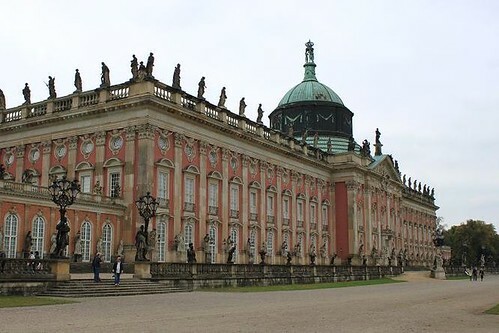 Frederick the Great had the palace constructed to commemorate the end of the Seven Years' War. Although not the principal residence of the King, it was an important symbol and often used to greet important royals and dignitaries. 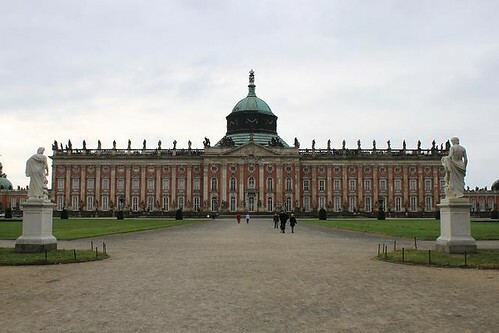 After the death of Frederick the Great in 1786 it fell into disuse but became the summer residence of Frederick William III and his wife Victoria. 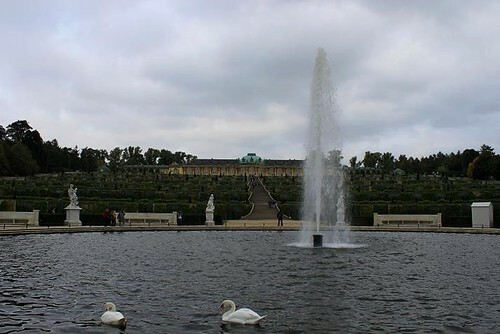 Charlottenhof Palace is located in the southern part of Park Sanssouci. It served as the quarters of Frederick William IV, while still crown prince, and his wife Elizabeth. The palace, designed by Karl Friedrich Schinkel, was built in Neo-Classical style from 1826 to 1829. The interiors can be visited, most of the furnishings was designed by Schinkel himself. 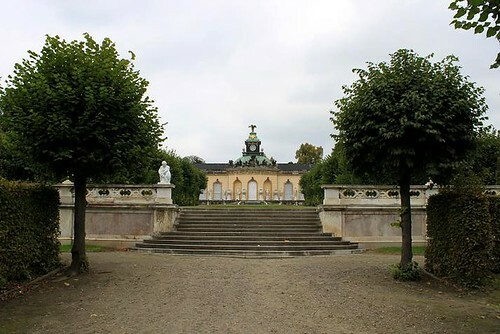 The Roman Baths is a complex of buildings constructed between 1829 and 1840 in Park Sanssouci. 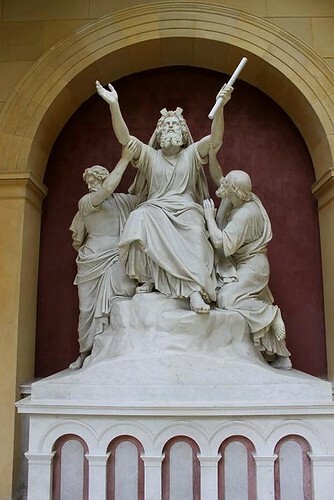 They were built by Karl Friedrich Schinkel and Ludwig Persius according to the wishes of King Frederick William IV. 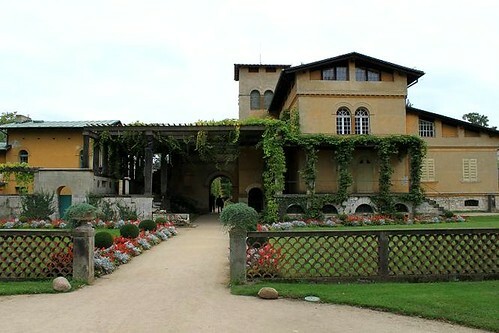 The group of buildings include an Italian country house, a Greek-styled temple, arcades and a Roman bathhouse that gave the complex its name. 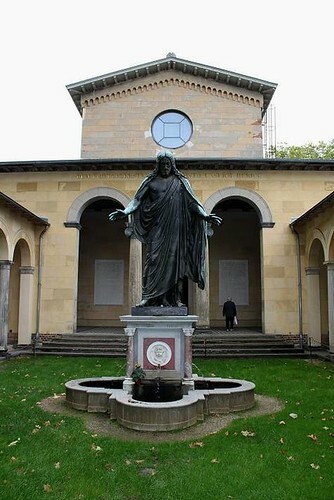 The Friedenskirche or Church of Peace is situated in the Marly Gardens in the palace grounds of Park Sanssouci. 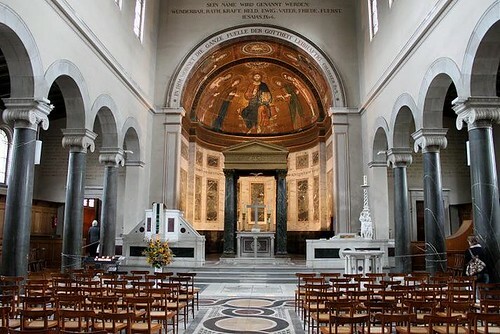 The church was built under King Frederick William IV and was modelled after the Santa Maria Clemente church in Rome. Construction started in 1845 and was finished in 1854 according to the designs of court architect Ludwig Persius. 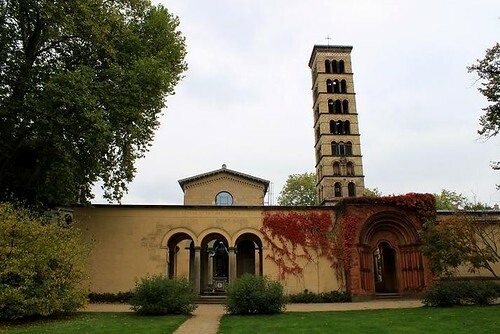 The Friedenskirche has a free standing bell tower, inside are three naves and no transept. 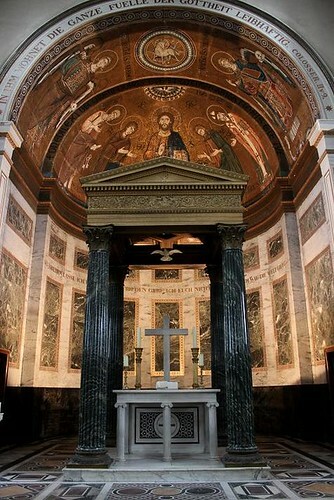 The apse is decorated with a rare original mosaic from the first half of the 13th century. 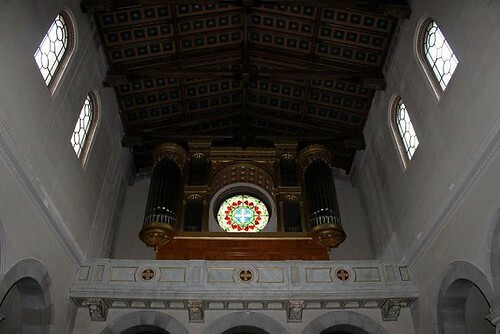 The altar canopy, which rests on four dark green columns, was a gift from Tsar Nicholas I of Russia. 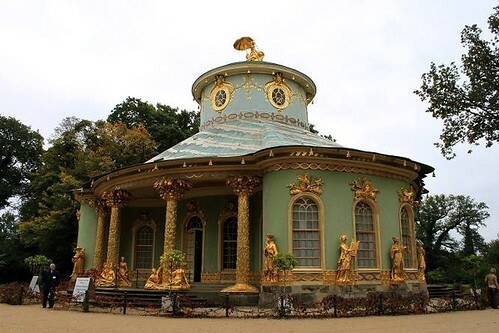 One of the most photographed places in Park Sanssouci is the Chinese Tea House. The circular pavilion was constructed between 1755 and 1764, when Chinese art was very popular. 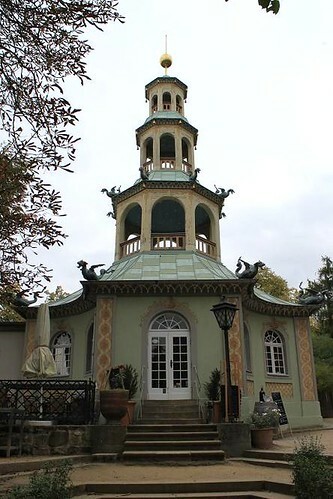 Frederick the Great had it built as a decorative piece, but the Chinese Tea House was also used for social events. The building has a central hall with three study rooms and is now used to display a collection of Chinese Porcelain. 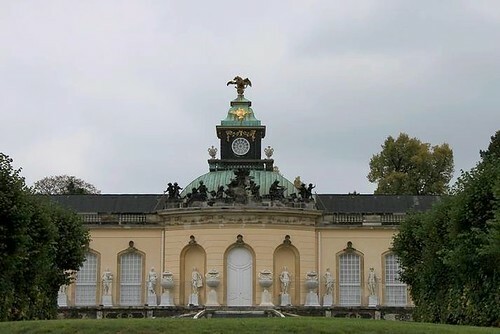 The Picture Gallery is built east of the palace by architect Johann Gottfried Büring between 1755 and 1764. It contains a collection of paintings of Frederick the Great, including work of Caravaggio, Rubens and van Dyck. Like the palace, the Picture Gallery is a single-story building, dominated by a central domed bow. 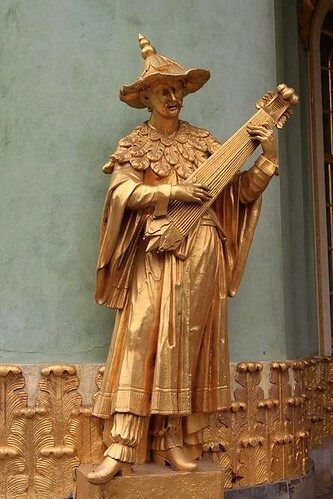 Its interior is worth a visit itself with gilded ornamentation, statues and marble floors. View location in Park Sanssouci, Postdam, Germany. 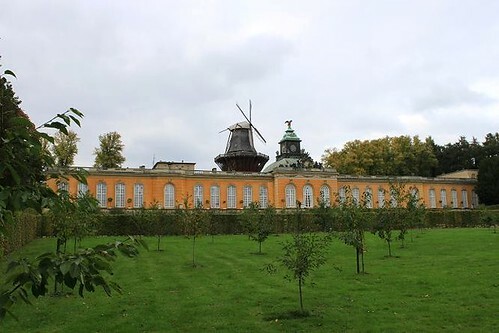 Park Sanssouci's Historical Mill is located next to Sanssouci Palace. 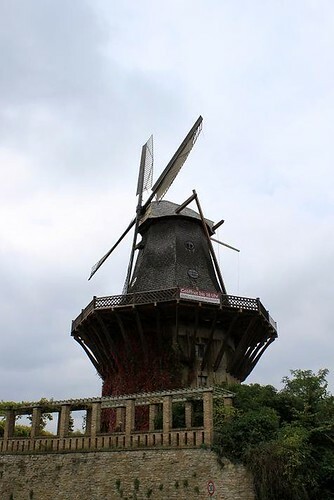 It's a reproduction of a Dutch mill that stood on the site from 1738 until 1945. 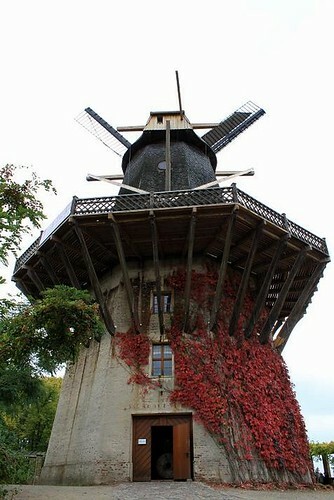 The mill has a viewing platform which overlooks the park, inside you can find a shop and see the old milling equipment. 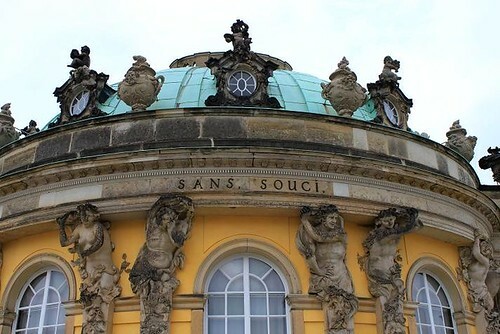 Sanssouci Palace, located at Park Sanssouci in Potsdam, is the former summer residence of Frederick the Great. 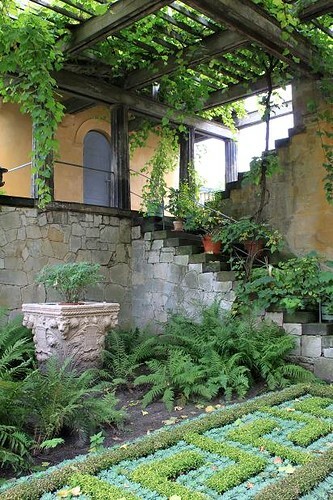 Architect Georg Wenzeslaus von Knobelsdorff constructed the palace between 1745 and 1747, above a terraced vineyard. 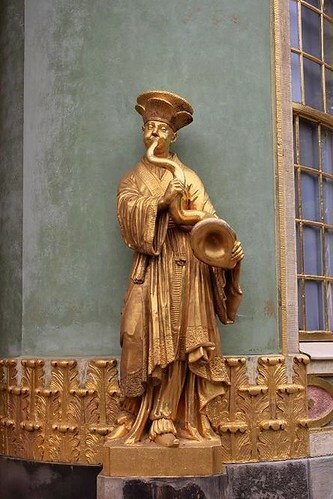 The palace was named Sanssouci, which means without worries in French, because here the King could leave all the formalities of the royal court behind and spend time on his hobbies. 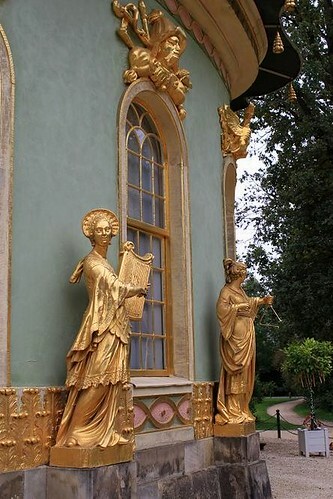 Sanssouci Palace is a one-story building with 12 rooms, all glamorous decorated in rococo style. 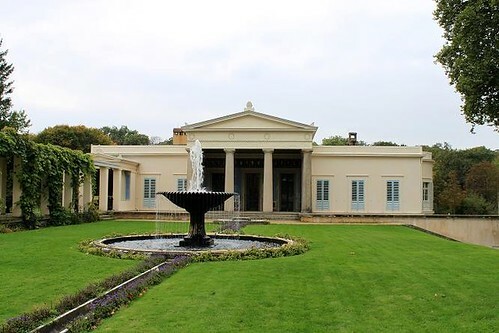 The main entrance area consists of two halls, the Entrance Hall and the Marble Hall. The west wing has guest rooms, these were for friends considered intimate enough to be invited by the King. The east wing contains the King's study, bedroom, living room, concert room and a private library.